Home › EVENTS › Past Events › Upcoming Debate on Is it right for Secular Society to limit religious expression? 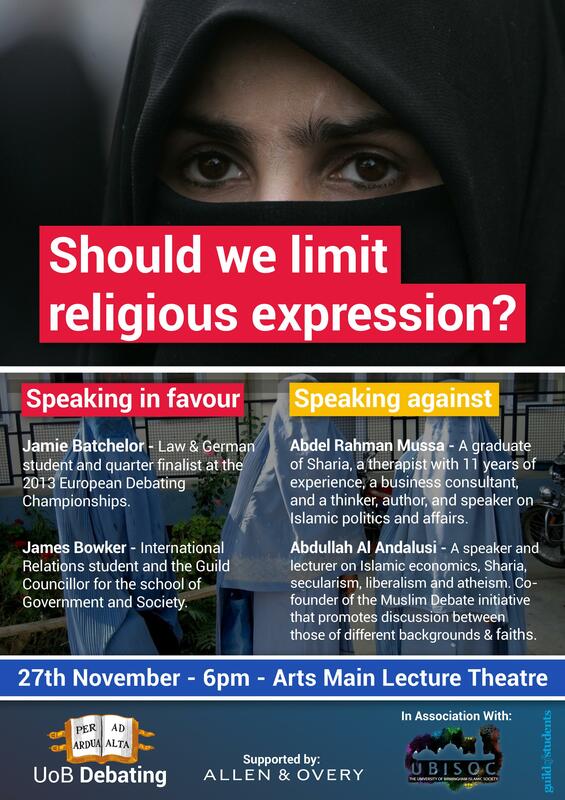 Upcoming Debate on Is it right for Secular Society to limit religious expression? Tomorrow (Wednesday 27th November 2013) I am going to Birmingham to do a debate on ‘This House believes religious expression should be limited in Liberal societies?’ at the University of Birmingham against two secularist speakers arguing FOR limitation of religious expression, and brother Abdul Rahman Mussa who will be arguing alongside me Against the title (and will be better than my last ‘wingman’). 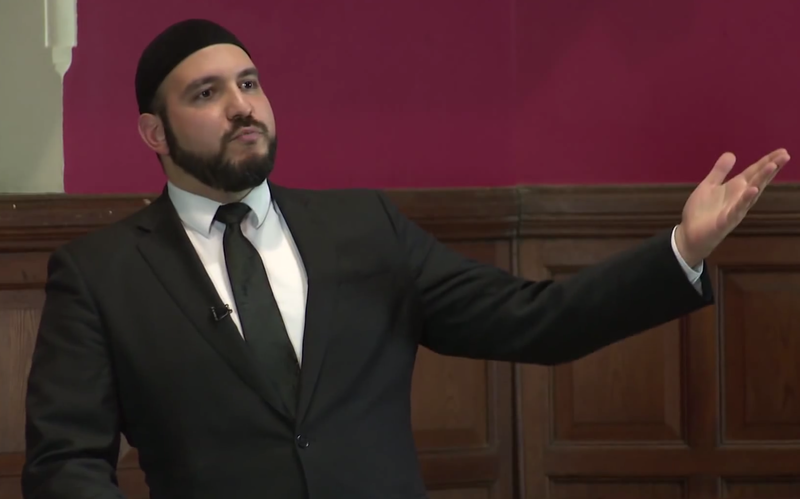 This debate follows from the attempt by Birmingham University to ban students from wearing the Niqab – which was overturned due to student protest. Of course some Secularists are still sore about it, hence the debate.